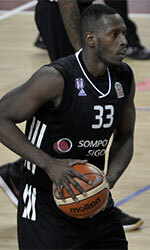 Brujos Izalco (Liga MB) landed 30-year old Colombian international guard Michaell Jackson (190-87). He played recently at played at Ciclista Olimpico de La Banda in Argentinian LigaA. In 7 games he averaged 7.1ppg, 4.3rpg and 1.0spg this season. Part of last summer Jackson spent at Cimarrones in Colombian league where in 6 Liga Sudamericana games he had very impressive stats: 27.5ppg, 6.3rpg, 2.2apg and 2.8spg. He also played for Academia in Colombia that season. In three Liga Americas games he recorded 5.3ppg and 3.0rpg. Among other achievements Jackson's team was regular season runner-up in Costa Rican LBS in 2017. He received also Latinbasket.com All-Liga Sudamericana 1st Team award in 2017. Jackson represented Colombia at the South American Championships in Caracas (Venezuela) two years ago. His stats at that event were 5 games: Score-2 (17.6ppg), 4.8rpg, 1.0apg, 1.6spg, FGP: 50.8%, 3PT: 38.5%, FT: 65.0%. 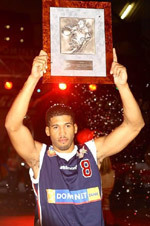 Jackson has played also professionally in Costa Rica (Liceo and Escazu), Colombia (Patriotas, Islanders, Patriotas and Caciques) and El Salvador (Aguila). Let's have closer look into His outlook: A very good shooter from every side of the court, he's matured and now playes at star level. Very quick player. Lots of experience. Not afraid to shot in front of taller defenders.